Mole Check | Mole Mapping | Skin Cancer | Specialist Skin Clinic Cardiff .. 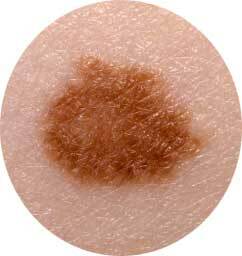 It is important to regularly check your skin for new moles and changes in existing moles. Skin cancer can usually be seen on the skin surface and therefore any changes to your skin should be checked to aid in early diagnosis. Mole Checks & Mole Mapping Procedure. Knowing where all the moles are on your body (mole check & mole mapping) is vital and knowing their size, location, shape and colour is advised. Mole Checks & Mole Mapping Overview. What is a mole check? Regularly checking all moles is important and can help to diagnose skin cancers and skin conditions early. Skin cancer can often occur in families and those who have a high risk of cancer in their family should ensure to mole check every six months. Mole mapping is a skin cancer screening system. Mole mapping captures images of the entire body and stores them in a patient database for future reference. What are the benefits of mole mapping? Though a regular mole check can be beneficial, mole mapping allows for a more comprehensive trace of your skin and any moles. A personal mole check can be a lengthy process and it is hard to keep track of any minor changes – as they may not be noticeable straight away – and important skin changes may be missed. Mole mapping quickly documents your entire body and any suspicious moles or changes in existing moles can be examined by a qualified professional. By repeating mole mapping regularly all changes can be tracked and you are alerted to any concerns. How often should mole mapping be carried out? We advise for mole mapping to be carried out annually. This allows for early detection of any changes. Who will perform the mole mapping? Mole mapping is carried out by one of our professional skin specialists and supervised by Doctor Maria Gonzalez. How much does a full body mole check cost? Exact prices to be confirmed during your medical consultation for your Mole Checks & Mole Mapping.